Some feel that Sam Breadon’s omission from the Hall is a glaring injustice. 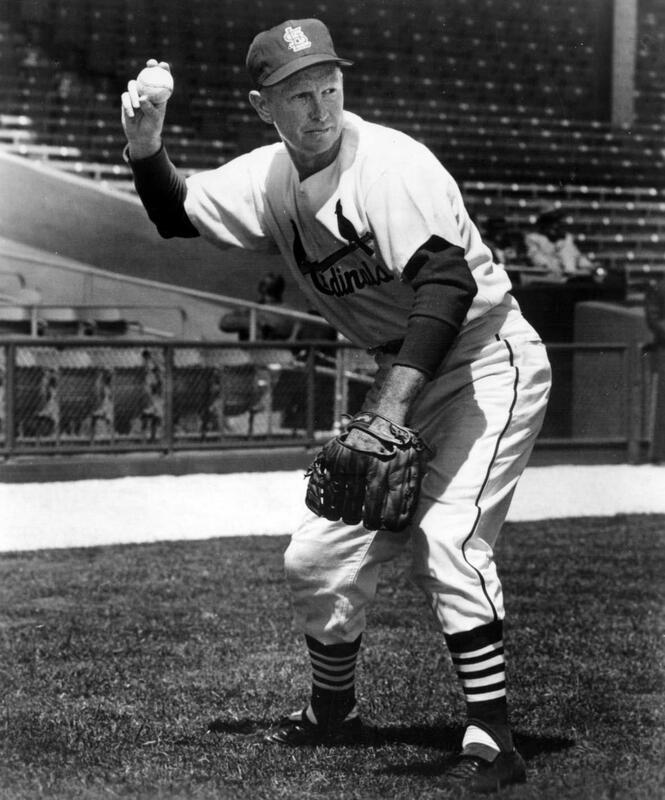 His teams won 9 National League pennants & 6 World Series titles. 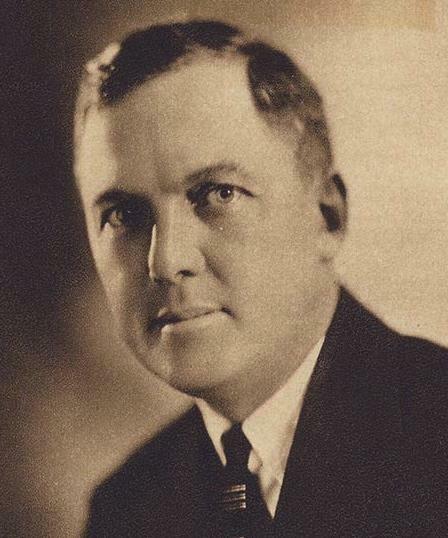 As measured in wins and World Series titles, Sam Breadon is one of the most successful team owners in the history of baseball. 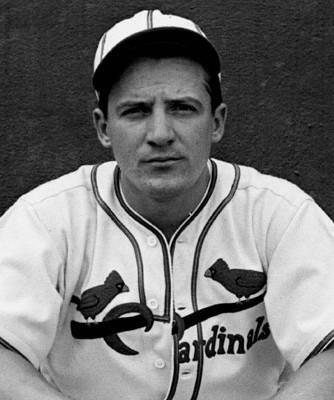 Before Breadon arrived, the St. Louis Cardinals hadn’t finished above third place in more than a quarter century. 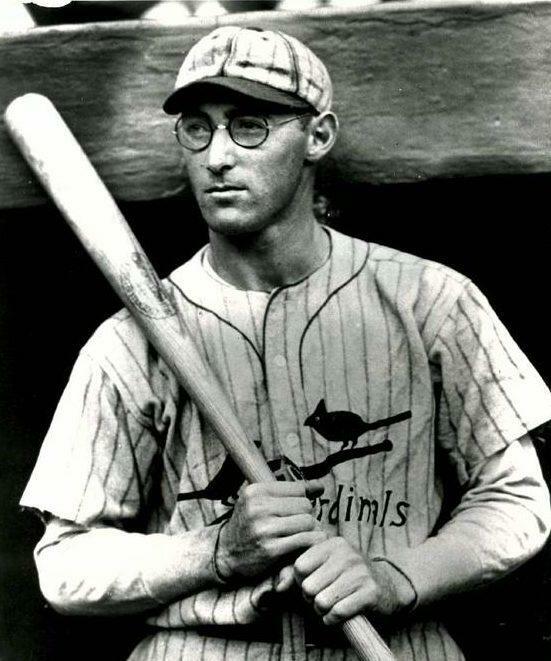 After purchasing controlling interest in the St. Louis Cardinals in 1920, the franchise won like never before. 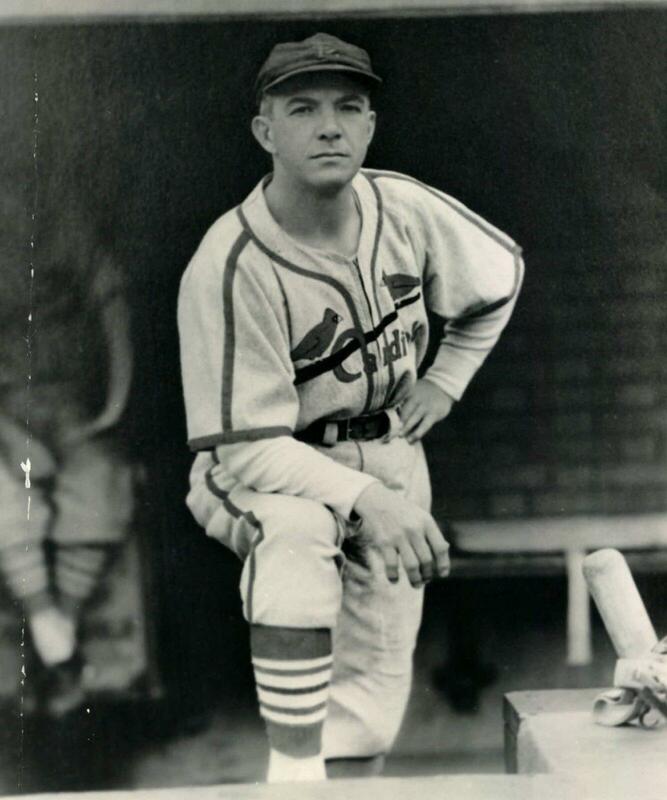 From the time he purchased the team until 1947 when he sold it, the Cardinals had a .574 winning percentage, going 2,470-1,830. The team won nine National League pennants and six World Series titles. 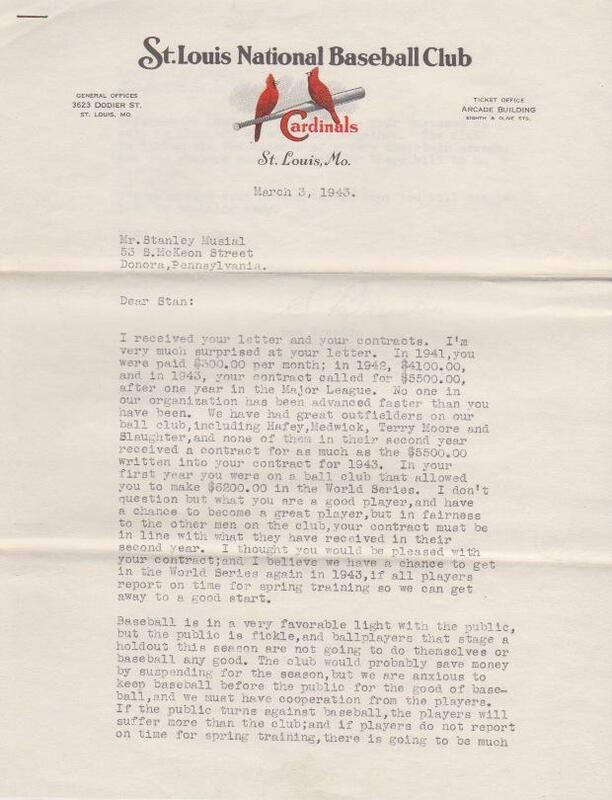 Stan Musial felt the salary offer was not enough and sent the contract back unsigned. 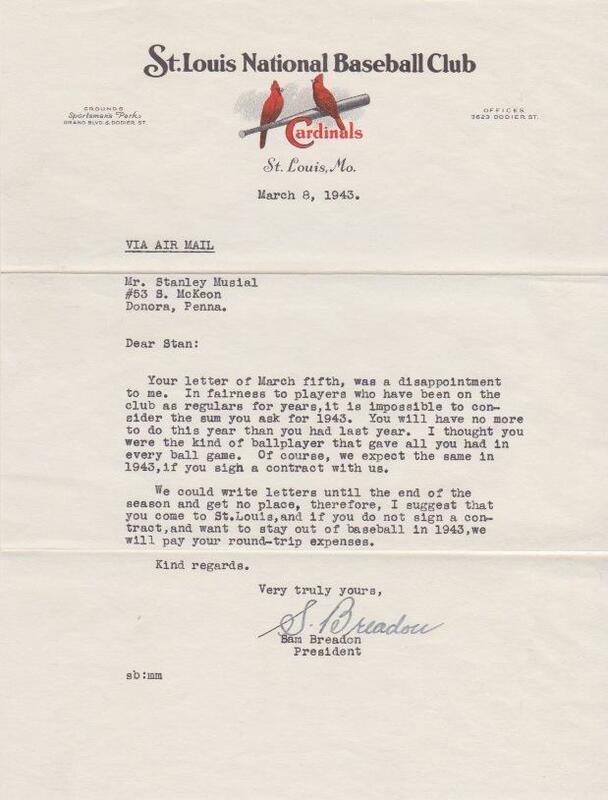 A clearly miffed Breadon scolds Musial in this correspondence. 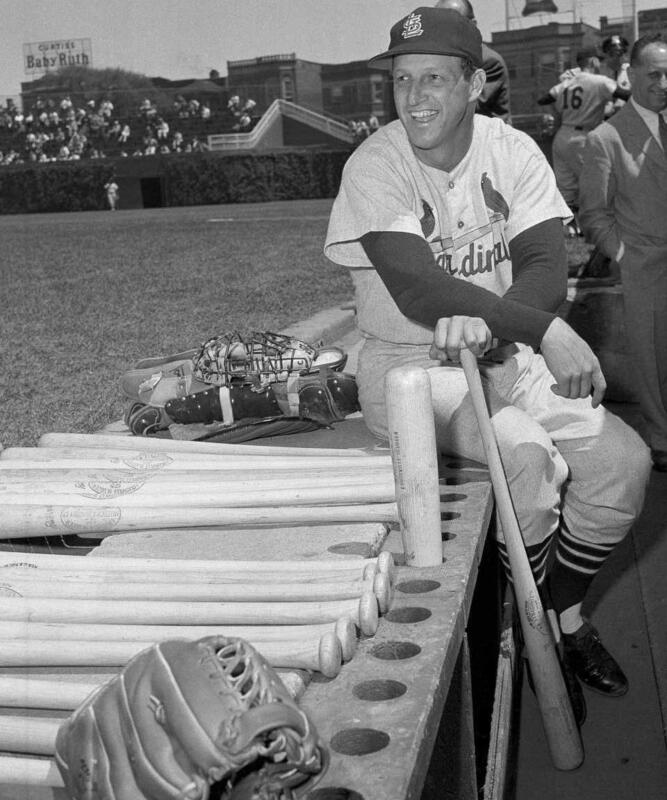 After Stan Musial again rejected the owner’s proposal, Breadon called the response, “a disappointment”. 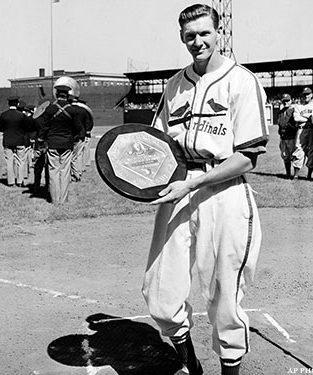 He tells Musial, “it is impossible to consider the sum you ask for 1943,” and process to blast the young star. Front and back of the envelope that enclosed the first letter. 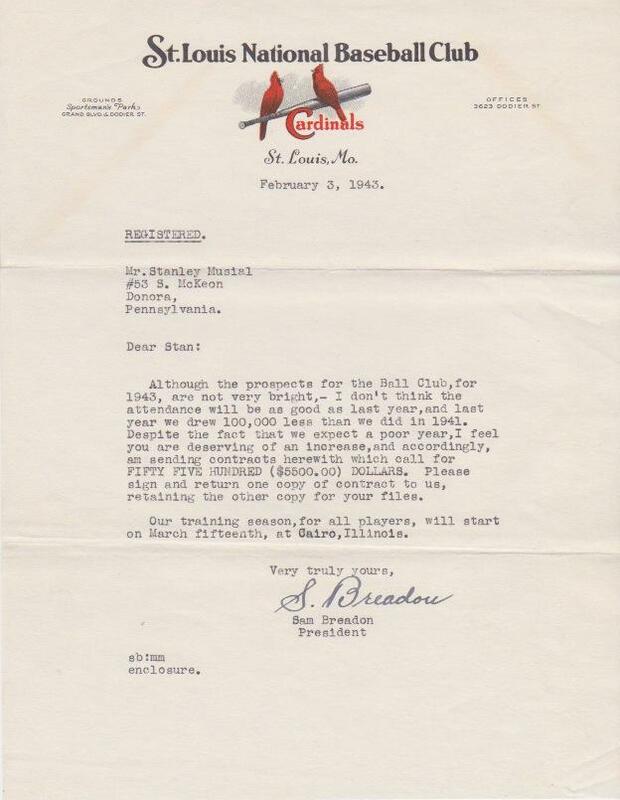 This is the original envelope that Stan Musial received the offer. Notice the team logos on the front and back, and the postmarks. Breadon remains a strong candidate for induction into baseball’s Hall of Fame. 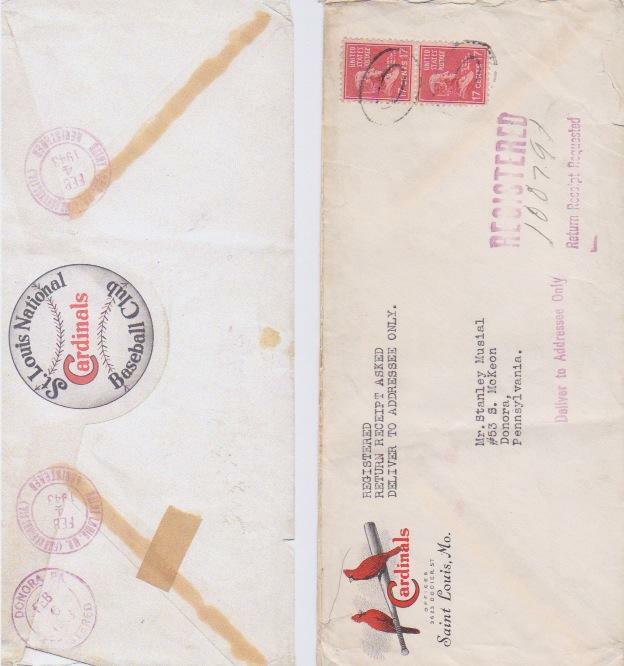 Plenty of postage was required as this envelope housed the two-page letter and two copies of the contract the Breadon wanted Stan Musial to sign. Autographed letters are made more attractive when paired with their original envelopes. 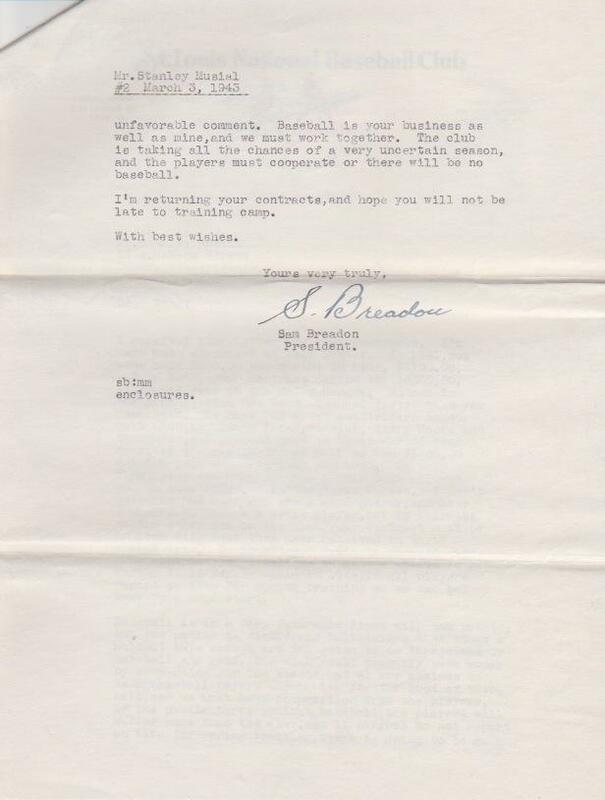 Plenty of postage was required as this envelope housed the two-page letter and two copies of the contract the Breadon wanted Stan Musial to sign. Autographed letters are made more attractive when paired with their original envelopes. I’m not even a Cardinals fan (I’m a Cubs fan) and I think Breadon should be in the Hall of Fame, no doubt about it. And I think that eventually he will be. As a Cards’ fan that’s big of you, Steve. Let’s hope Mr. Breadon gets in!